Music producer DJ Khaled has pressed pause on making tunes to channel his “inner goat” in the latest advert for Bumbu Rum. The 42-year-old, known for his hits including I’m the One and Wild Thoughts, can be seen practicing inhaling and exhaling during a one-to-one yoga session. 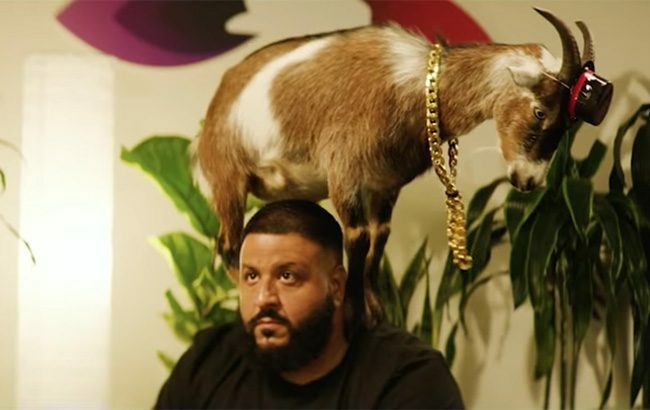 As two real-life goats appear in shot, one resting on DJ Khaled’s shoulder, the yoga teacher encourages: “Now bring out the inner goat in you,” – and he does. As DJ Khaled continues to make goat noises, more goats join the scene – one standing on the producer’s shoulders. The ad is a play on the Barbados-made rum’s strapline, the GOAT, which stands for ‘greatest of all time’. Earlier this year, Sovereign Brands-owned Bumbu launched its inaugural marketing campaign starring rapper Lil Wayne. DJ Khaled has come under fire in the past for failing to mark his sponsored alcohol posts on social media, causing him to overhaul his accounts. Click the video below to watch the full Bumbu Rum advert starring DJ Khaled.